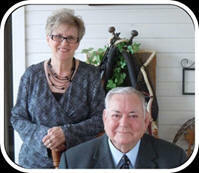 Over forty years ago, God put a dream in the heart of Bill Taylor, then a young evangelist. His heart’s desire was to have a place where Christians could gather for worship, relaxation, refreshment, and renewal. “For the vision is yet for an appointed time, but at the end it shall speak, and not lie; though it tarries, wait for it; because it will surely come, it will not tarry.” Habakkuk 2:3. With no further discussion, he got in his car and drove away. Bill and Reba were encouraged and given a peace about "The Vision.” The lots were indeed developed, a church was established on the property, and they had many good years there. But "The Vision” was not there. They developed three other subdivisions – and "The Vision” was not there. They stayed at Whispering Pines for twenty years and learned many lessons. They left there, went to the Dallas district church camp, and managed it for five years. While there, they fell in love with a group of people called "SOWERS", who came and volunteered their services to build, repair, and clean the campgrounds. The SOWER president, Claire Abel, shared with Bill a desire to move their office from the State of Washington to more of a central location, and asked if he would help them find land. God led Bill and Reba to Bass Lake Ranch in 1995, and gave them the assurance this property would be the place for “The Vision" including two acres to be set aside for the SOWER Ministry. It was two years and many hurdles before they were able to purchase it - miraculously. Several of the SOWER Members along with other friends began giving money for "The Vision", believing together that God had a plan and purpose. Now sixteen years later, "The Vision" is still in the process. In 2009, the Taylors transferred the Bass Lake RV Park, with 67 lots (60'x70') as well as about 5 additional acres, to the Bass Lake Christian Retirement Community, a separate non-profit corporation. See here for more information.